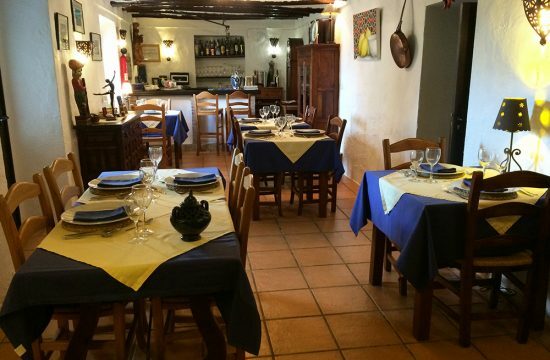 Our restaurant is exceptional, that is, according to our guests and reviews. We use top quality Spanish products, prepared with a Belgian twist. Spain has a wealth of beautiful produce such as Ibérico pork, beef from Galicia, fresh fish and seafood, or river trout from Riofrío. You will be able to try many of these here (season permitting), always with seasonal accompaniments and stunning sauces. Prepared with the passion of the man who turned his hobby into a profession. While we don’t have a wine list as such, we provide a selection of quality wines for you to savour with your meal. A nice glass of Cava to start off with, lovely and fruity Rueda wines, and some really wonderful Rioja and Ribera del Duero reds. Our house wine has long been a favourite of the guests, since we introduced it in 2007. It is a Cariñena wine, once a much maligned area, but now producer of some top wines. We aim to provide choice and are always willing to obtain bottles of your favourite wine (availability permitting). Bernadette will be only too pleased to suggest a bottle that goes with your meal. 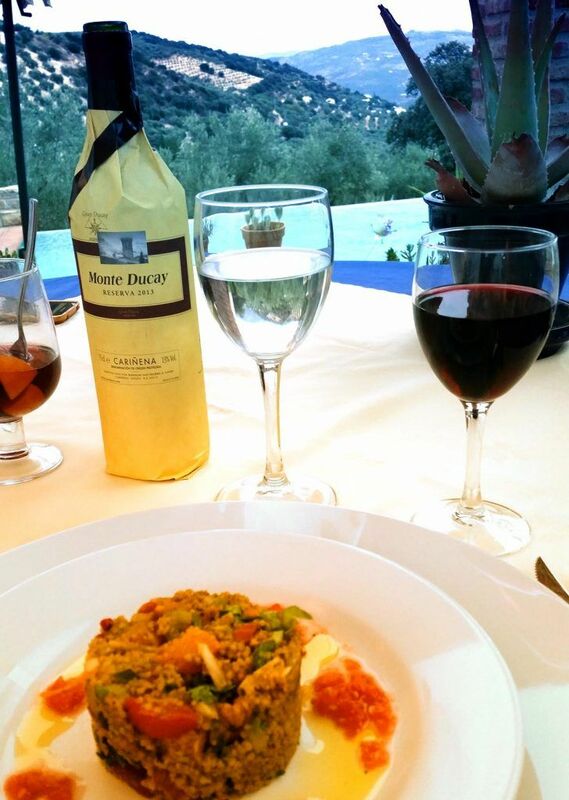 Many of the local wines, particularly those produced by Pérez Barquero are also used by the chef in the preparation of many dishes. 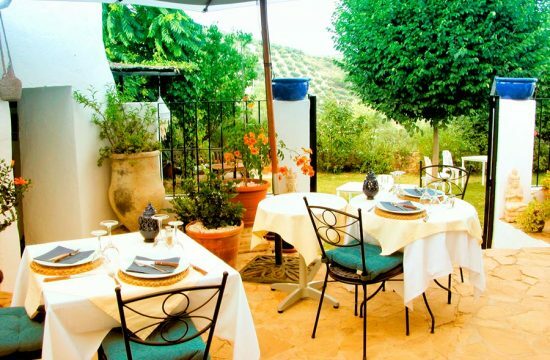 We don’t really have a menu as such, given that we provide a table d’hotes gastronomic experience. The choice of the day will depend largely on what chef can find during his shopping trips, and how this needs to be combined with any dietary restrictions there may be that particular day. Generally, your meal will consist of three courses, starter, main and dessert. You are free to choose whether you have all of these or any other combination (one dish, starter and main, main and dessert, …). The important thing is, as always, that you let us know well beforehand so we can take that into account. We also provide children’s meals, usually these will be prepared according to the parents’ wishes (and the children’s likes). Owing to the fact that many places around the area offer virtually nothing but fried potatoes with the meals, we try not to, so as to avoid overkill. You can always enjoy your dinner privately. No big table to be shared with many other people you may not want to speak to. But we do have the flexibility for you to share a table with other guests by simple request. In the event you wish to have a more intimate experience, we can usually provide a space where you will be able to enjoy your dinner in private (both indoors and outside). As with everything, there are a few things you need to be aware of with regards to eating at La Haza. 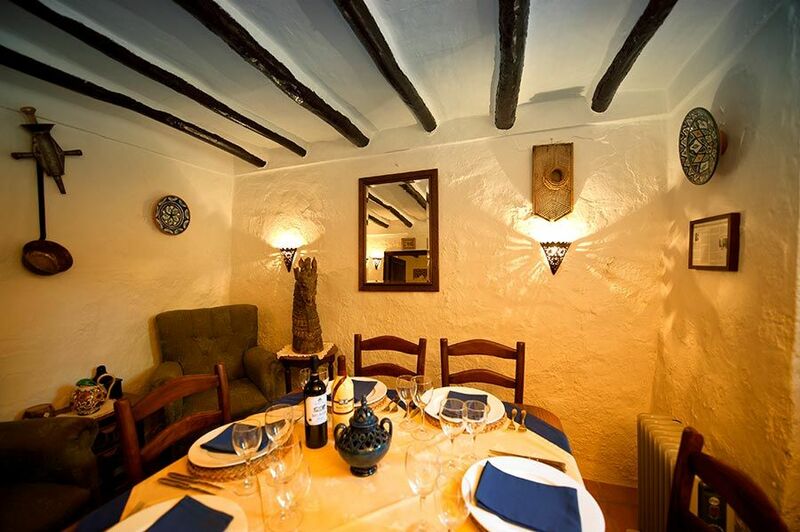 We will ask you during the reservation process whether you would like to dine with us. 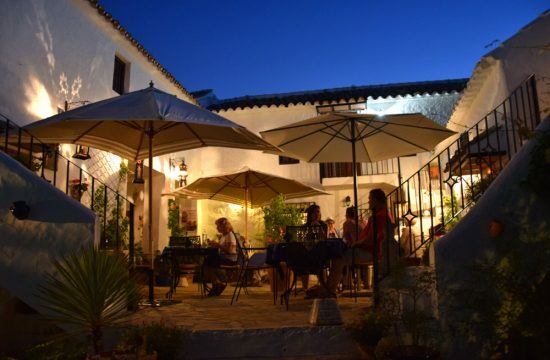 You will get the opportunity to book a table for the first night which we would recommend you do to allow you to have a stress-free first evening (and to taste amazing food too, of course). From there on onwards, you can tell us at breakfast whether you wish to stay for dinner that night, though mostly, Bernadette will ask before you go off exploring. Please do take into account that shopping may not be so easy at weekends and therefore a little bit more notice would be appreciated. Generally, from 2018 onwards we will require a minimum of 72h’ notice of any dietary requirements you may have. Please understand it will not be possible to provide you with a meal suited to your needs if you only tell us on the day of your arrival. Owing to the exponential growth of dietary requirements through the years we must add that: if your requirements concern one of the many diets out there, we will aim to stick to it as best we can, but cannot guarantee you will always have exactly what fits your diet.